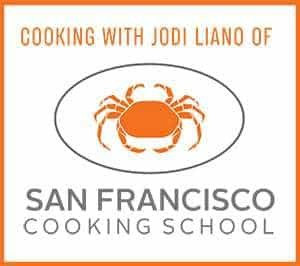 You are here: Home / San Francisco / CRITICAL MASS: What Do We Want From Our City’s Top Restaurant Reviewer? CRITICAL MASS: What Do We Want From Our City’s Top Restaurant Reviewer? Seems like lately there’s been a lot of chatter about the power of professional restaurant critics and whether they wield it fairly. First came Rebecca Flint Marx’s deep dig into the industry-linked relationship of this city’s reigning restaurant power couple: Michael Bauer, the San Francisco Chronicle’stop food critic for the past 30 years, and his partner, Michael Murphy, whose restaurant-related dealings raised eyebrows about potential ethical conflicts in a recent story for San Francisco magazine. “The Trouble with the Michaels” caused a stir among culinary insiders and regular diners alike. 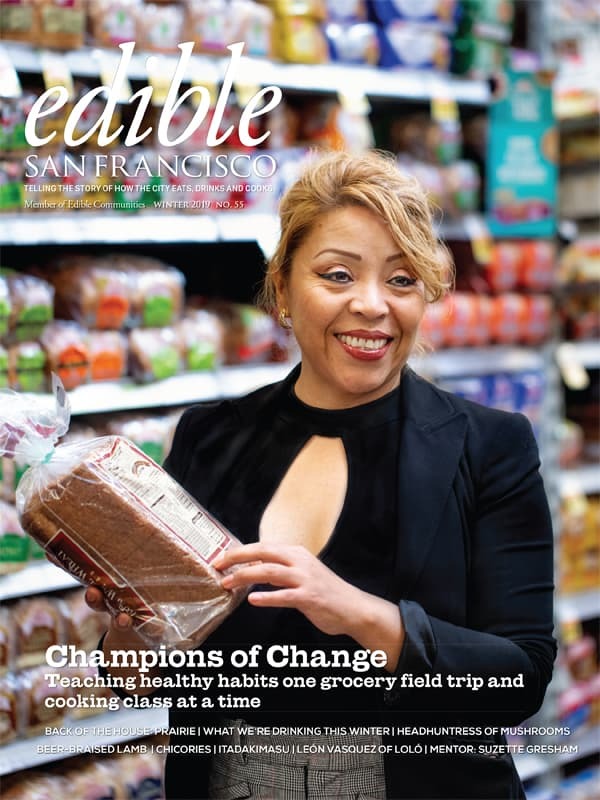 Chronicle management did not respond to the piece publicly and declined a request for comment on the story from Edible San Francisco. It wasn’t the first time San Francisco magazine has taken Bauer to task. Back in 2001, then–senior editor Maile Carpenter, now editor in chief at Food Network Magazine, penned an unflattering portrait of a man who, the piece charged, plays favorites and flaunts his chumminess with the restaurateurs and chefs he covers. Bauer also took hits regarding the limited range of restaurants he reviews (think expensive fine dining and midpriced bistro fare) and, perhaps the unkindest cut of all for a reporter, pedestrian writing. 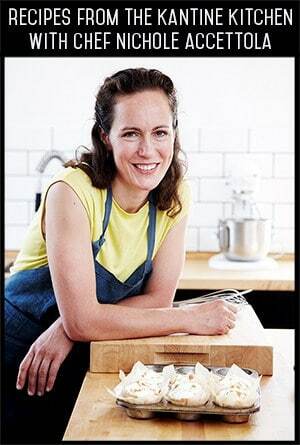 Carpenter, who declined to be interviewed for this story, went on to win a James Beard Award, the equivalent of the Oscars in the food world, for her profile. Bauer did not respond to an email request for an interview. But in the recent past he has addressed his detractors. He told San Francisco he is “honest and fair” and that he has a “clear conscience.” And one suspects that few other food critics would argue with his assessment that the job can be lonely and uncomfortable and requires a thick skin. The twice-weekly columnist, who also curates the popular guide Top 100 Restaurants, is aware of his critics. “They say I’m not fresh, they need a younger palate,” he told a panel hosted by chef Tyler Florence at a Napa Valley conference earlier this year. “I always come down to the argument of experience. Credibility is built over time. The real credibility comes, hopefully, in consistency.” These remarks, according to an SF Eater account of the event, were delivered from behind a backlit screen in an attempt to retain his anonymity. And in a 2015 interview for the video series “The New West” with Will Hearst, chairman of the board for the Hearst Corporation media empire, the critic donned sunglasses and a hat and described himself as more of a consumer reporter than a storyteller, unapologetically covering destination restaurants for readers. And, for the record, this butcher’s son with a master’s degree in mental health doesn’t think any taqueria—even the best one in the city—deserves four stars. Such ratings, according to the Michael Bauer method, should be reserved for the technically demanding, multicourse tasting menus of up-market restaurants such as Benu, Quince and Saison. And how. The paper ran a four-page spread highlighting some of the most significant dining destinations around town during his tenure; it’s likely Bauer had a hand in the success of them all. For seasoned San Francisco restaurant-goers, it proved a sentimental stroll down memory lane. The timeline begins in 1986 with nods to Sushi Ran and China Moon and moves on to perennial favorites scattered over the decades that still pack in guests today, including A16, Acquerello, Coi, Delfina, Foreign Cinema, Lulu, Nopa, Slanted Door and Zuni Café. There’s a chance to reminisce about the shuttered Aqua, Flying Saucer and Postrio. And the veteran critic highlights recent darlings: Mission Chinese Food, State Bird Provisions, Lazy Bear, Liholiho Yacht Club, Cala and AL’s Place. That brings us to 2016 and the latest game changer in Bauer’s book: Corey Lee’s In Situ at the San Francisco Museum of Modern Art. In fairness, the same could be said of the chief restaurant critic in other major cities with vibrant food cultures. Case in point: writing for the New Yorker, Ian Parker recently detailed New York Times restaurant reviewer Pete Wells’s singular ability to crush an eating establishment. During his five years as chief food critic for the Times, Wells has garnered national attention for takedowns at either end of the dining spectrum: he stripped Thomas Keller’s Per Se of two stars and panned Guy’s American Kitchen & Bar, the latter in a review cleverly constructed solely of pointed questions to celebrity-chef owner Guy Fieri. In the New Yorker profile, readers come along for the ride as Wells finds fault with the latest venture of food media wunderkind David Chang of Momofuku empire fame. Parker points out in the September story “Knives Out” that Wells works hard to remain anonymous, is relatively new to the gig at the Gray Lady and doesn’t fraternize with food folk. That’s as it should be, say industry observers. “If you want to make your living criticizing other people, you can’t be their friends,” says Marx, a senior editor at San Francisco, who spent a dozen years in New York as a writer. She knows that sounds harsh and at odds with an industry built on the concept of hospitality, but that’s what needs to happen if critics are to remain objective and free of even the appearance of the professional conflicts of interest that plague Bauer: no hanging out with restaurant owners, no chefs throwing parties at your house, no going on vacation with the city’s culinary elite. Every industry has its share of gossip, pettiness and competition. The culinary world—and the writers who claim that domain as their beat—is no exception. But grumbling and outrage about the status quo aside, what do we want from our top food voice in this town? Is the role of the restaurant critic to provide consumer service, educate eaters about cuisine and culture, entertain readers with a rollicking good yarn or all of the above? Are pro restaurant reviewers even relevant in the age of the citizen critic with a camera? We asked food writers, industry insiders and city diners to chime in with their own food for thought on the subject. Unterman has her own criteria about what’s important. “I want to hear about a place from someone who really knows the cooking,” says the founder of seafood stalwart Hayes Street Grill, opened in 1979. She took heat from certain circles for being both a restaurant owner and a dining critic, though she says she operated with honesty, fairness and integrity in her reviews. “I want to understand and explore the central experience of eating something and, of course, deliciousness trumps everything,” says Unterman, who eats out frequently. She counts meals at Kin Khao and Cala among recent favorites. What else should restaurant reviewers bring to the table? 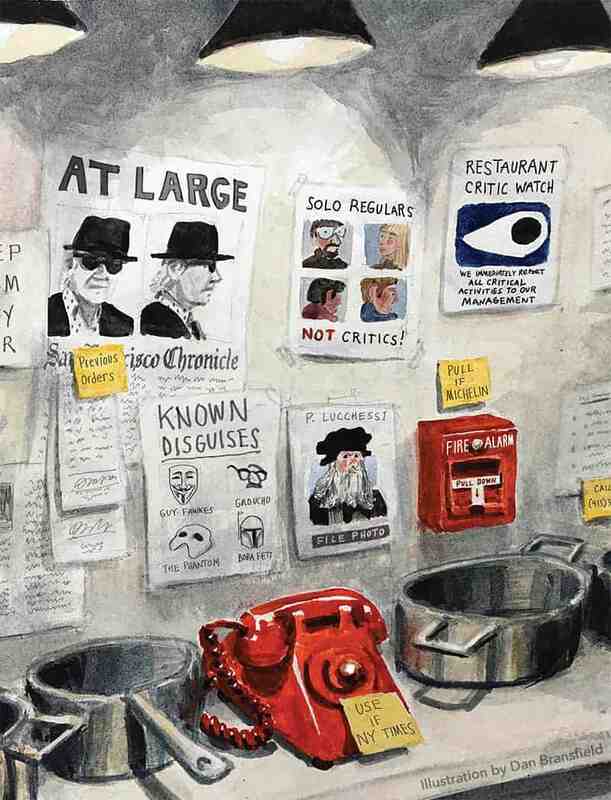 According to Birdsall, the best food critics are literary, entertaining and serve the public. They’re not interested in palling around with chefs or publicists. They write for readers. They also function as commentators and capture the cultural zeitgeist: explaining how a restaurant fits into the life of a neighborhood, city, or even the nation. That’s a relatively modern conceit: Up until 1957, when Craig Claiborne began covering food at the New York Times, restaurant reviews were viewed suspiciously by subscribers as little more than paid ads in the paper, according to former Village Voice critic Robert Sietsema in a history of restaurant reviewing. Sietsema, now covering food at Eater, writes that Claiborne is credited with introducing ethical guidelines for reviewing such as anonymity, visiting three times and the publication’s picking up the restaurant check. He also introduced the star-rating system. For diners, money matters. 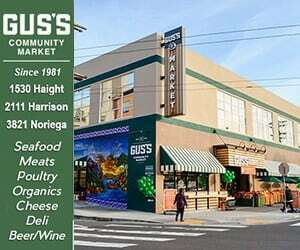 The first goal is a service one, says Anna Roth, a freelance writer who covers the so-called cheap eats beat in her Eat Up column in the Chronicle. Should people spend their hard-earned cash at this restaurant? So yes, diners want to know what to expect—on the menu and in the service, ambience and so forth—but they also want context and the back story behind a place and its people she says. And in the best restaurant criticism, the service element and storytelling are not at odds with each other. Birdsall points out that Gold is easily recognized and has been reviewing L.A. food for decades—two concerns that frequently pop up in discussions of the downsides of Bauer. But in and of themselves, these aren’t issues for Birdsall. His beef with Bauer: he’s not very curious, writes about a small subset of upscale restaurants and rarely offers cultural context. Gold, with his championing of mom-and-pop Vietnamese places tucked inside nondescript mini-malls, is his opposite. Gold wants to give readers a sense of what the restaurant and its chef mean to the cuisine, the community and sometimes to American dining as a whole. Context is key. Social media sites can tell you where to go in San Francisco, what’s new or hot. But these same sources typically don’t go into detail about, say, or the history of pho, the particular style of regional Mexican cuisine, or expound on a chef’s culinary philosophy and what they’re trying to accomplish with their menu. Professional reviews offer readers insight into ingredients, flavor pairings and dishes that may be unfamiliar or serving or plating approaches that may be unexpected. In turn, such insights can whet diners’ taste buds and help move a city’s food conversation forward. Observing from his perch across the bay as the restaurant reviewer for alt-weekly East Bay Express, Luke Tsai concurs. “The wider your reach and the more clout you have, the greater a responsibility it is,” says Tsai, currently the only writer of color among the area’s restaurant critics. Industry professionals have mixed feelings about restaurant reviews. For their part, regular restaurant–goers surveyed for this story say they want to be entertained and informed by impartial critics who are playing fairly and don’t have conflicts of interest. 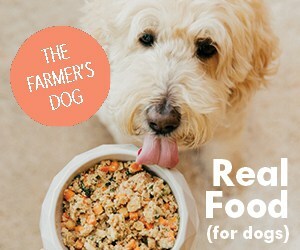 They also want to be clued in to new places and shifts in culinary approaches. And even if they can’t afford to eat at restaurants like Lazy Bear or Saison, they want to read about what those places mean for the city’s cultural and culinary life. Some had read the recent rumblings around Bauer and were shocked, others had missed that story or never read him anyway, preferring to pick places via sites like Yelp, or personal recommendation. Many were inclined to favor restaurants close to their place of work or home, regardless of whether they’d received glowing reviews. Convenience does tend to win out over critics. “Often location trumps what’s on our list of places to try,” says Kyle Minor, who lives in the Castro and frequently eats out with his husband. “We’ll eventually get to places like Leo’s Oyster Bar, Mason Pacific and Scotland Yard.” Avid Bauer reader Eugene Keegan of Noe Valley says he’s just as likely to check out a restaurant the critic pans to see if it’s as bad as Bauer says. chefs drawing on their ethnic heritages in their cooking while creating a unique menu and atmosphere in small, casual neighborhood venues. Keegan’s millennial daughter Cara tends to ignore newspaper reviews (she’s got Dad for that) and seeks out Yelp for hole-in-the-wall places her parents are less likely to frequent. That’s music to a chef’s ears. When I spoke with chef-owner Kim Alter, who recently opened Nightbird in Hayes Valley, she was anticipating that Bauer would swing by soon. She’d been open a month, after an almost two-year wait trying to get her place up and running, a frequent lament in San Francisco restaurant circles. It’s an intimate location featuring a refined tasting menu—currently highlighting lobster, rabbit and prime seasonal produce. As with any new chef opening their own space, there’s a certain level of anxiety about how your vision will be received by both professional and amateur critics alike. Alter’s no newbie. She has an impressive independent dining resume that includes the Daniel Patterson Group, where Alter has done stints as the top chef at both Haven and the (now closed) Plum in Oakland. Alter doesn’t read her reviews; her partner Ron Boyd, also in the restaurant biz, gets that job. He telegraphs any bullet points—good or bad—he thinks might be helpful. Like most attentive chefs, she says she might tweak dishes—adjust the seasoning, for example—based on diners’ feedback, if the criticism has merit. But mostly she stays true to her mission and palate. What if paid restaurant reviewers went the way of white tablecloths? 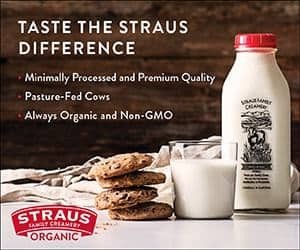 Cara Strickland can speak to that, having recently lost her gig as a food critic for a monthly magazine in Spokane, Washington too. In May, the publication transitioned away from reviews, which Strickland had written for five years. In her city, the newspaper and the alt-weekly have already given up on doing professional restaurant criticism. That leaves Yelp. Sure, local publications carry feature stories and interviews with chefs and announcements about openings and closings. But that’s it. And that’s too bad, because Strickland has something to offer that social media doesn’t. One of her best assets as a critic: she doesn’t look like one. She is small, youthful, female, unassuming, able to blend in. She is treated like a “normal person” at a restaurant. 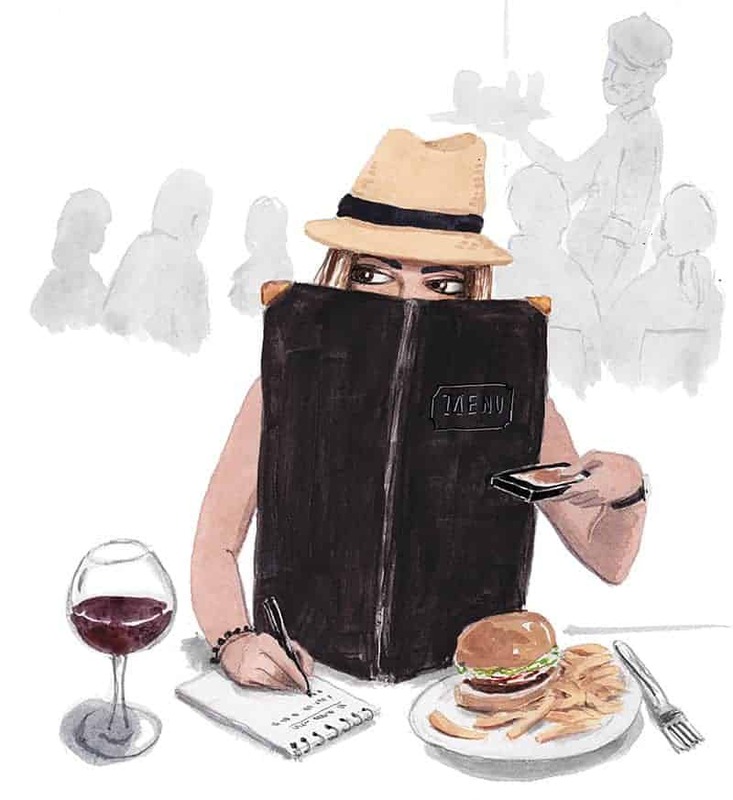 “I have heard complaints against management from waitstaff, constantly had first sips of wine poured for my male companion and been served inexpertly cooked food,” she wrote in a September Salon story on the subject. 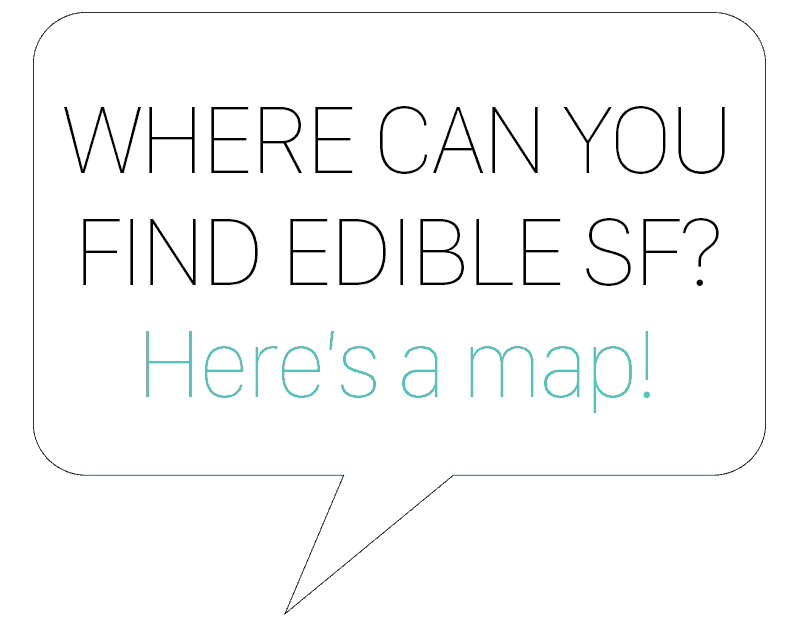 Want more Edible San Francisco recipes? Then like us on Facebook to stay connected to our daily updates. 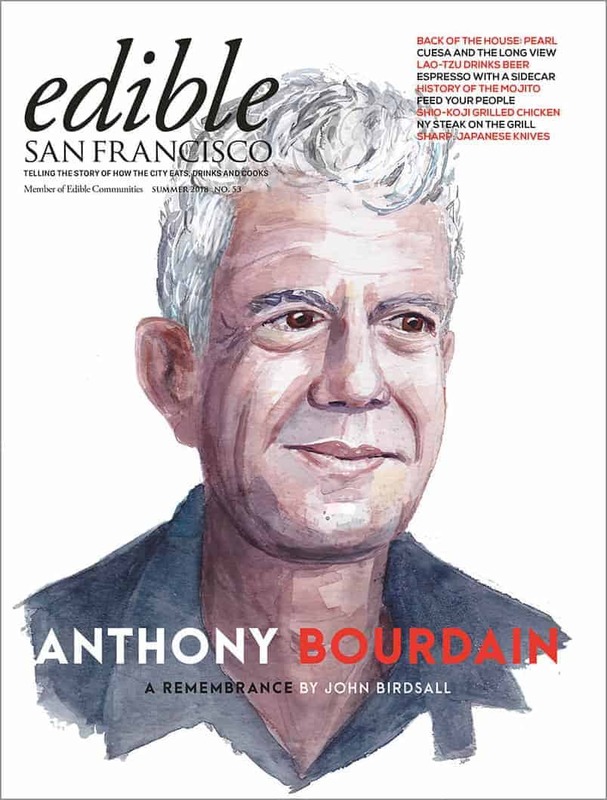 Critical Mass was published in the Fall 2016 issue © 2016 Edible San Francisco. Illustration © 2016 Dan Bransfield.